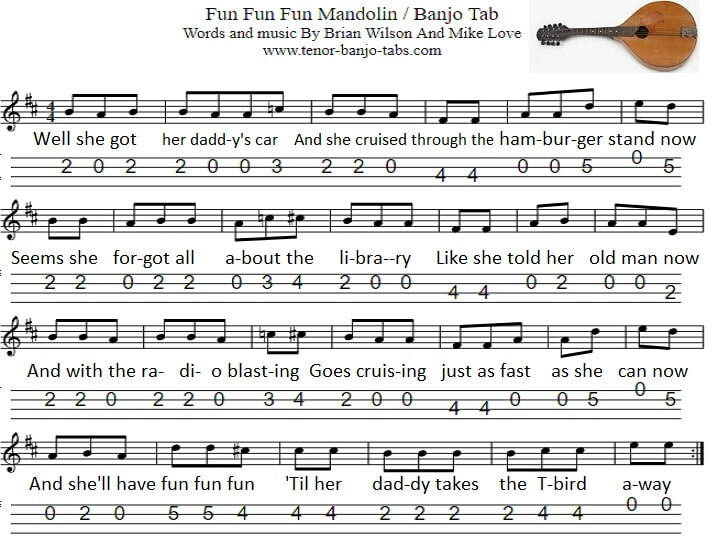 This Beach Boys mandolin / banjo tab is in the key of D Major with some of the c notes played natural. Included are the easy to follow letter notes. I have indicated which of the c notes are sharp # and which should be played natural.